ATTENTION: Our office will be closed on Wednesday, April 17, 2019 for employee training. We will reopen on Thursday, April 18, 2019 at 7:45 a.m. We apologize for any inconvenience. 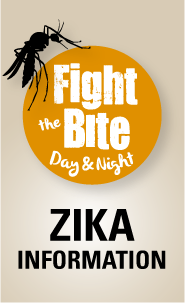 Mosquitoes may harbor several diseases that contribute to outbreaks of Zika, West Nile, dengue fever, encephalitis and canine heartworm. Effective mosquito control helps to control mosquito populations to prevent or reduce these outbreaks and enhance the enjoyment of outdoor activities by everyone in the community. To report a mosquito problem, call 3-1-1 or complete a Service Request online. The Austin/Travis County Arbovirus Surveillance Map highlights Austin/Travis County zip codes where one or more mosquito traps test positive for West Nile Virus. Rodents, particularly rats, are responsible for a substantial amount of property damage and may transmit diseases, such as Murine typhus, plague, salmonellosis, trichinosis, leptospirosis, and rat-bite fever. Code violations: Code violations such as tall weeds/grass, trash, or debris, may contribute to a rodent problem. To report violations call us at 3-1-1 or online. Renters experiencing rodent problems: Austin Code requires landlords to maintain rentals free from rodent or insect infestations. To report a rodent problem in multi-family/commercial rental property, call the Austin Tenant's Council or the Austin Code Department at 3-1-1 or online. Owner Occupied Residents experiencing rodent problems: call 3-1-1 or complete a Service Request online. City Ordinance Chapter 3-6 regulates the maintenance and management of bee colonies within Austin city limits. Chapter 3-6 does not apply to wild colonies that have established themselves in naturally protected places, such as tree hollows, tree stumps, or any other location uncharacteristic of conventional beekeeping activity. The City of Austin does not provide services for the removal, relocation, or eradication of bees due to State regulations related to bees. The City of Austin does not provide a referral list for providers of bee services and is not affiliated with any one provider. However, the City of Austin advocates the removal and relocation of bees in lieu of eradication whenever possible. For information about bee behavior or to request bee removal services, please visit the Texas Apiary Inspection Service. Austin houses the largest urban bat colony in North America. While bats contribute greatly to our ecosystem, it is important to be safe when encountering them. For information see Austin Animal Control’s guide on What to Do When Encountering Bats? Help us better serve our customers by providing feedback through our online survey.